Lake level down for winter pool. The name Logan Martin brings memories as the chosen site of three of the past Bassmasters Classic World Championships held in Alabama. 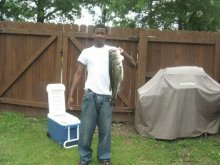 Bass tournaments are held on Logan Martin every week out of the year. But mention Logan Martin during the dead of winter and most anglers shun away. All but the adept regulars that know the rewards of exploring this rather desolate lake in December, January and February. 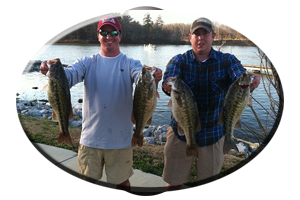 Logan Martin is one of three upper Coosa River reservoirs drawn down for winter and is currently down 3-4 feet. Like Weiss Lake and Neely Henry Lake, the lower portion of Logan Martin Lake is safer for navigation than the lakes headwaters and the lower lake generally has clearer water and better fishing throughout winter. This is not to imply the upper lakes headwaters are not worth investigating – but proceed with extreme caution due to low water obstructions now hidden just below the water’s surface. 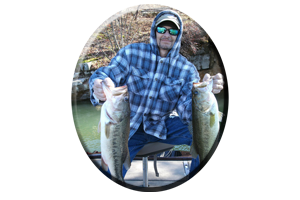 With lightly stained water and warming water, the main river flats and ledges hold some big wintertime largemouth’s and some hefty Coosa River spotted bass. Far upriver, along the lakes eastern banks, just below upper Neely Henry dam are several spring-fed creeks worth exploring -if you like to idle or troll long distances. Use caution, less than one half mile below the mouth of O’Hatchee Creek, near Neely Henry Lake dam are rock bars. Some are visible and some are not. Its all according to the water draw down found here at mid lake. These are very dangerous rock piles and extreme caution is advised for first timers in these lake headwaters. Logan Martin dam downriver has deep water, clear water and baitfish holed up in the major feeder creeks and pockets that still harbor good water depth. Check out the lower lake creeks Clear Creek and Rabbit Branch Creek. 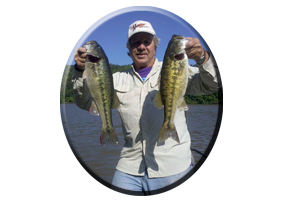 During cold fronts and high pressure conditions stick with slow, bottom-dragging worms, lizards, jig combos, tube baits, creature baits, shad imitations and crayfish imitations. 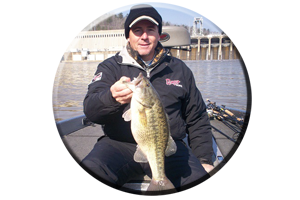 Deep running crankbaits and jigging spoons also fall in this category. When warming trends bring bass shallow look for aggressive bites on spinnerbaits, jerkbaits, mid to shallow running crankbaits, rattletraps and yes, even topwaters such as: buzzbaits, zara spooks, Sammies, Spittin’ image, Baby torpedoes and Pop-r’s. 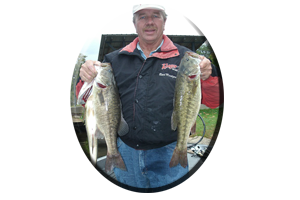 * Or you can call always call on Reeds Guide Service (205) 663-1504 for fishing Logan Martin lake or any Alabama lake, year round!